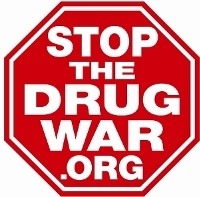 StoptheDrugWar.org works for an end to drug prohibition worldwide and an end to the "drug war" in its current form. We believe that much of the harm commonly attributed to "drugs" is really the result of placing drugs in a criminal environment. We believe the global drug war has fueled violence, civil instability, and public health crises; and that the currently prevalent arrest- and punishment-based policies toward drugs are unjust. Please visit our web site , and please read more about us . We are seeking Legislative, Writing/Research , Web Content , Information Technology , and Admin/Finance interns (potentially still this semester, depending on your interests, definitely for the summer). Communications may also be applicable to current organizational projects. Preference will be given to applicants with some demonstrated experience the relevant fields, and to applicants in the Washington, DC area. However, consideration will also be given to enthusiasm for drug policy and criminal justice reform. Note that StoptheDrugWar.org internships are unpaid. We reimburse for metro fare. Please also note that the organization has functioned as a "virtual office" environment since spring 2011. Staff will meet with interns on a regular basis during the semester, and can be available to meet and work together on a weekly or even daily basis, but this will happen in places like coffee shops or campuses. In order to help our interns forge ties with the larger community, we are organizing intern networking social hours with other organizations in drug policy and justice reform. We are also arranging tours of the DC courts and possibly jail, and public health and other programs that have bearing on drug policy. Interns are also welcome to join us at the frequent legislative working group meetings that take place on our issues here in Washington. Please send cover letter, resume, and any supporting material you'd like to include, to StoptheDrugWar.org executive director David Borden, at [email protected] . (We recommend using a return receipt to ensure your emails are not blocked by any filters.) Thank you, and we look forward to hearing from you. Information on our specific intern positions follows below. Coalition outreach to secure partners for organizational sign-on letters to Congress. Interns may also join us at working group meetings on issues including but not limited to sentencing reform, drug policy including marijuana law reform; collateral consequences of criminal convictions; and reinvigorating the presidential clemency/pardon system. Spanish-language skills may be useful. Assist Drug War Chronicle editor Phillip S. Smith with ongoing article collection and research for feature articles on our web site (which are frequently reprinted on major news sites such as alternet.org). Assist with research on special topics, the goal of which is the publication of special reports. Likely projects include but are not necessarily limited to follow-up research on US drug war killings (see our recent report here ); procuring drug arrest data and possibly arrest reports from various jurisdictions for various months and years, to evaluate the results of recent policy reforms, particularly for marijuana. Assisting with updating or creating various special sections of our web site (possibly in collaboration with Web Content interns). Interns with Spanish-language skills may be involved with reporting on the Mexican drug war. General social media work, including a number special social media projects. We may also initiate an informal web video series, for which intern assistance would be invaluable, but this has not been decided yet. Admin & finance interns will gain familiarity with a significant range of nonprofits' administrative activities, and depending on schedule may have the opportunity to sit in on portions of board discussions or meetings with advisors. As noted above, communications skills are applicable to a number of facets of our work this semester, and communications majors are encouraged to apply. We have not listed communications as a separate internship this semester, because we have not decided whether to engage in specific outreach efforts to mainstream media this semester. Along with the possibility that we will do so, other work of relevance to communications can be found in our Legislative, Writing, and Web Content internships. Thank you for considering an internship with our organization. We look forward to hearing from you.